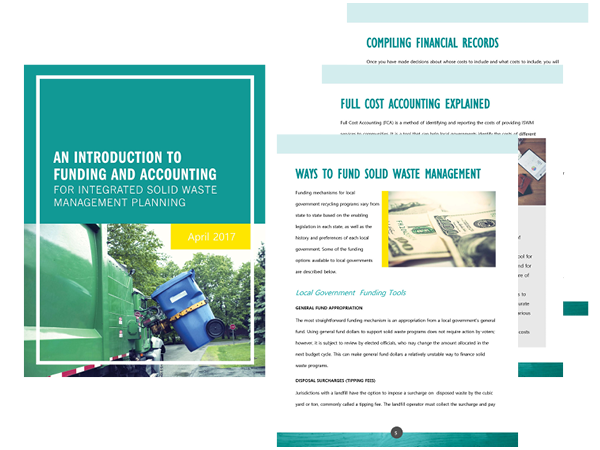 The guide assists local governments in using full cost accounting to identify, collect, track, and analyze costs associated with solid waste services. The document helps solid waste/recycling personnel and their elected leadership to ask appropriate questions and introduces numerous methods of funding to assist in optimizing their community program based on local conditions. While copies are included in the handbook, the Excel® versions included below are more functional for actual use.